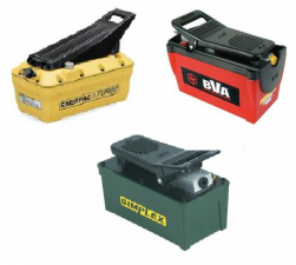 * Use this socket with any impact wrench or hopper gate opening device. * Step type drive system fits all styles of hopper gate capstans. 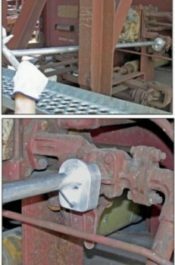 Use this tool to drive the repair insert into the capstan drive on covered hopper car outlet gates. 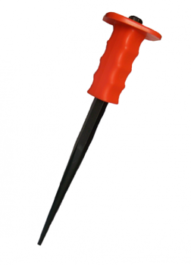 The tool is equipped with a guard to provide hand protection during use. 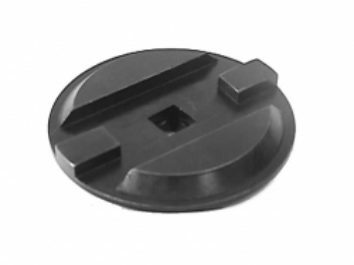 Provides a positive grip on the insert to simplify installation. 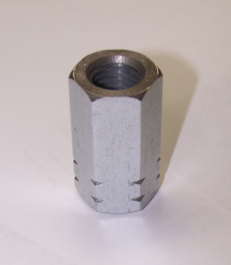 flange restricts access to the bolt. 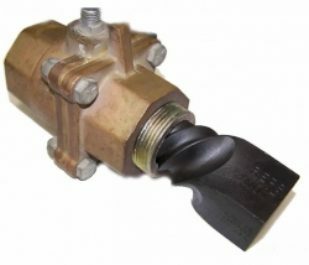 This tool is used to install the 5/8”-11 air brake valve studs in the pipe bracket. used to install for stud nuts. stud after it is tightened in the pipe bracket. 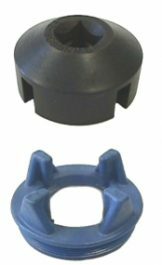 On certain cushioning devices it is necessary to remove a retainer cap to access the coupler vertical pin. The Cap Removal Tool fits the two holes in the cap. 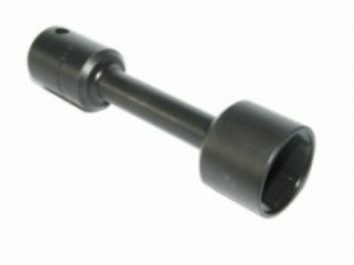 Fits 1/2″ drive ratchet or breaker bar. 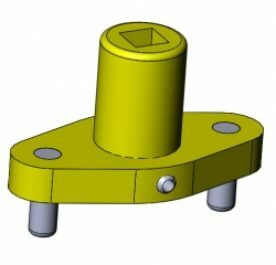 Use this tool to plug the bottom outlet on number 8 vent valves when performing an air test. 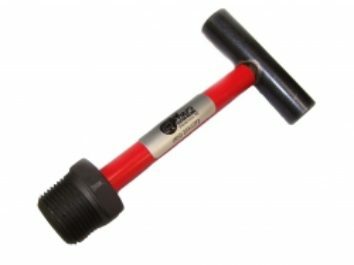 The handle is covered with red reflective tape to serve as a reminder to remove the tool after an air test. 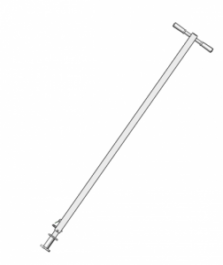 The “T” handle provides quick, easy installation and removal. Available with a 1″ Pipe Thread. Refer to part number 0336. 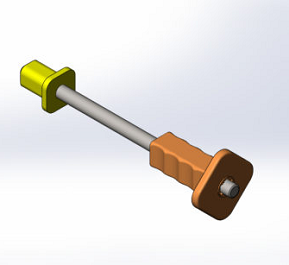 Use this punch to remove bolts and rivets after the head or nut is cut off. 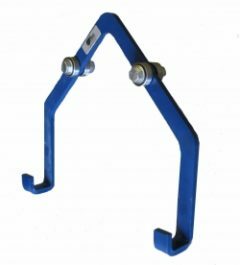 The long handle keeps the operators hands and fingers away from the striking area. 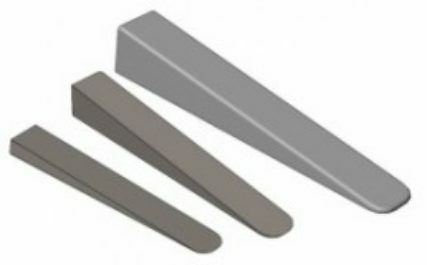 The punch head is made from tool grade steel. 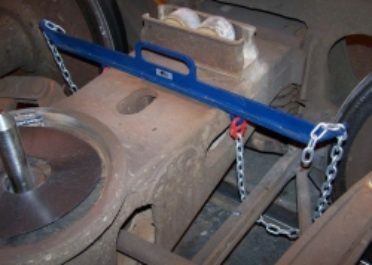 This tool holds the load sensor plunger in while performing air tests on coal cars. This replaces the existing velcro retaining devices and provides a more stable retention device. 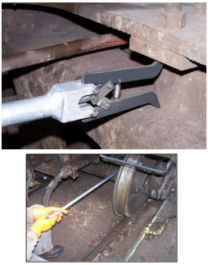 This tool is for removing and installing truck assemblies under freight cars by hand. 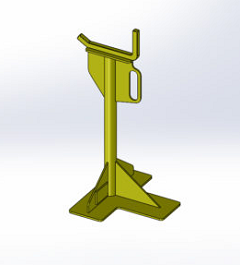 The end of the tool is inserted into the casting hole on the end of the side frame with the handle in a vertical position. 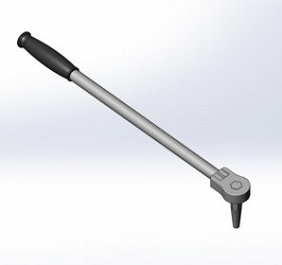 Then, the tool handle is turned to a horizontal position, locking it into the side frame. 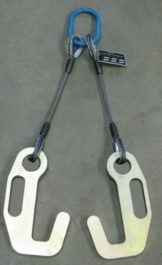 This allows the user to push or pull the truck assembly. 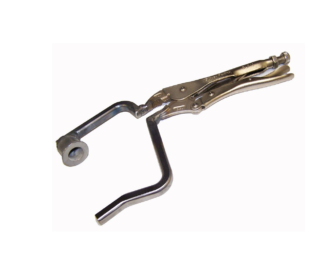 The Brake Rod Support Fixture provides a fast, secure method of retaining brake rods during truck removal. 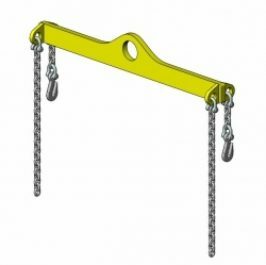 It keeps the rods in place during truck movement, eliminating the possibility of the rod catching on the shop floor or ties on line of road. 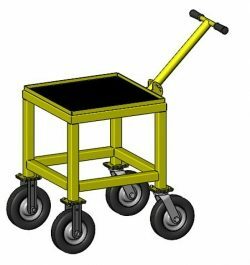 Ball bearings allow the fixture to move smoothly over the axle and eliminates any possibility of axle scratching. Working load capacity 2000 Lbs. This gauge is used to remotely measure the side bearing clearance on freight cars. The gage is 6 foot long, It may be used from either the side or end of the car. Remove the gauge, and use a tape measure or ruler to measure the distance between the gauging fingers.